Are you struggling with an entitled child? Are you living in regret that your teenager’s outbursts are a result of you not letting them “cry it out” as a baby? Are you trying not to ever be that parent strangers gawk at in the mall due to your kid’s bad behavior? Wherever you are along your journey, this book will arm you with strategies to transform your parenting style and your child for the better. Coined “The book that children don’t want their parents to read,” Whose Bad @$$ Kids Are Those? 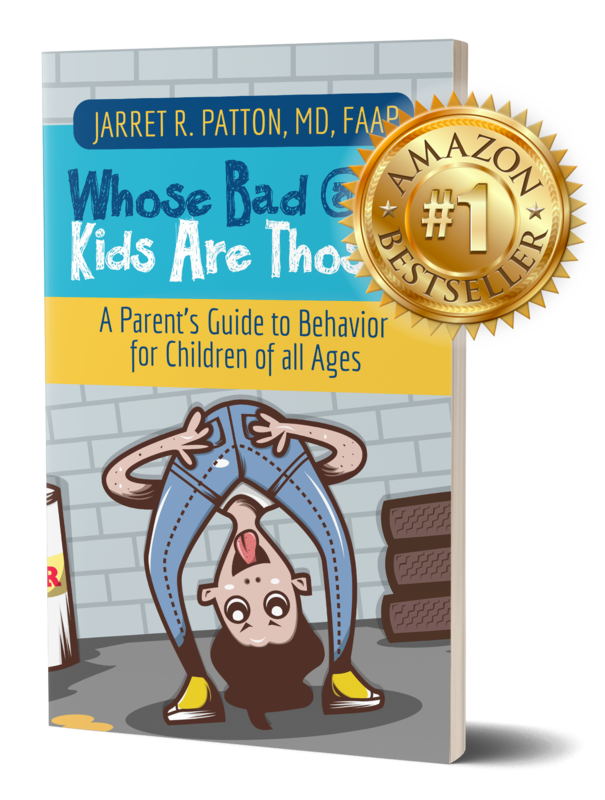 addresses pitfalls, traps, and tricks kids use to manipulate their parents. In this essential guide, Dr. Jarret delivers practical advice, coupled with wisdom and humor. The principles shared in this book are not for the faint of heart––but applying them can transform your child and help you yield a great return on your lifetime investment of parenthood. PLUS you will get the BONUS of his NEW video that will give you strategies to immediately implement with your child. This combination of items is sure to transform your parenting!